Is Fiber Cement Board Green? You've probably seen fiber cement board or siding and didn't even recognize it. The material, which can be made to resemble wood grain or even stucco, has been around for 100 years. It has received a bad rap because it contained asbestos fibers in the past. Now fiber cement board contains cellulose fibers, along with Portland cement and sand. One of the most desirable qualities of fiber cement board is that it is so durable. Unlike wood siding, fiberboard siding doesn't rot or require frequent repainting. It is fireproof, insect resistant, and performs well in natural disasters. Impressively, some manufacturers offer warranties that last for up to 50 years, a testament to the material's longevity. Aside from being low-maintenance, fiber cement board is also energy efficient and contributes to insulating your home. Fiber cement board is available in plank format that is similar in dimension to vinyl siding, ranging in profiles from 4 to 11 inches. 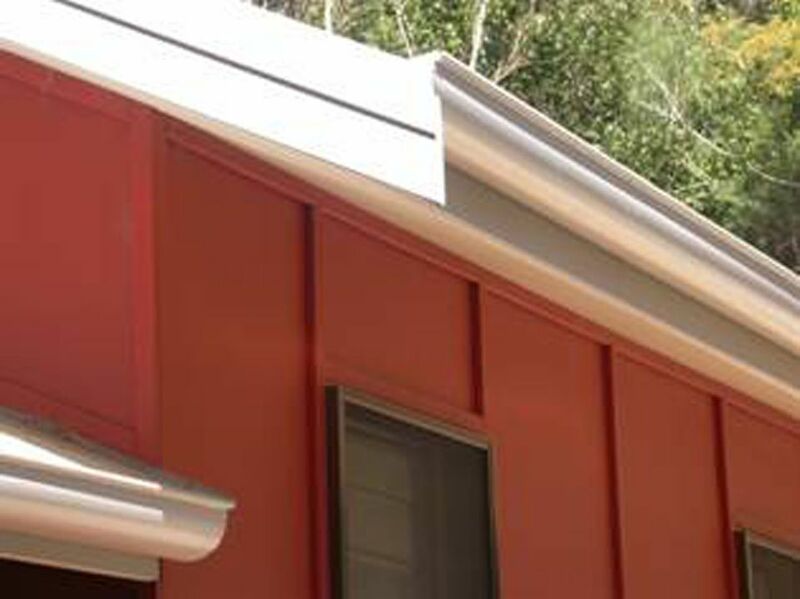 Fiber cement siding is also finished with a variety of textures. Wood grain patterns mimic traditional wood siding, while smooth planks or stucco textures look clean and modern. Fiber cement board is also made into sheets, which can be installed as an insulating underlayment for tile. Fiber cement board is a heavy material, so it often takes two people to carry a sheet. It must be handled carefully, as it tends to be brittle and can chip or crack. Though fiber cement board can be cut with a saw, the dust is toxic to breathe, so installers must wear masks. The greenhouse gas carbon dioxide is a byproduct of cement production. However, manufacturing vinyl siding, which contains polyvinyl chloride (PVC), produces twice as much carbon dioxide. Not to mention that vinyl siding off-gases throughout its lifetime, and continues to do so as it occupies space landfill. Fiber cement board, on the other hand, is inert. The price points of vinyl and cement board siding are comparable, although vinyl is usually the cheaper option. Choose fiber cement products that contain a large percentage of wood fiber from post-consumer or industrial waste. Also look for products that incorporate fly ash, which is more eco-friendly than Portland cement. Always choose low VOC paints, primers and other sealants for use with your fiber cement siding. So is fiber cement board really green? It's not the most eco-friendly building material on the market, but it is definitely proving a greener alternative to vinyl siding.